Made in Mink tufted carpet. The Pedestal Cot is a great option for homes with larger cats or multiple cats. 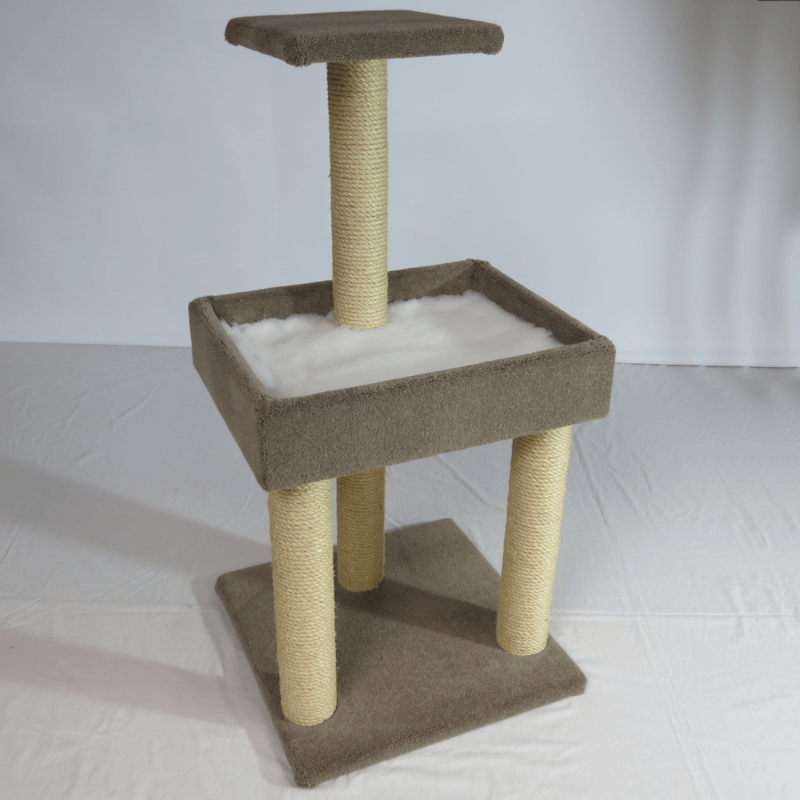 With a very large cot bed filled with comfy cozy vet fleece, 4 poles to scratch on and a platform up high to perch and nosy from, your cat will have a lovely place to sleep and play. Base and platforms covered in durable Ribbed Carpet or in luxury wool blend Tufted Carpet. The platform can be on the left, as shown in the photograph, over the centre post, or on the right (a mirror image). Left and right is as viewed from in front with the centre post towards you.